20% Off the Weeks of April 6, 13 and 20th! Sandalfoot is having a sale in April. Why not come on down and enjoy the beautiful beach and the waters of the Gulf of Mexico? The water is lovely – the perfect temperature for a leisurely swim. 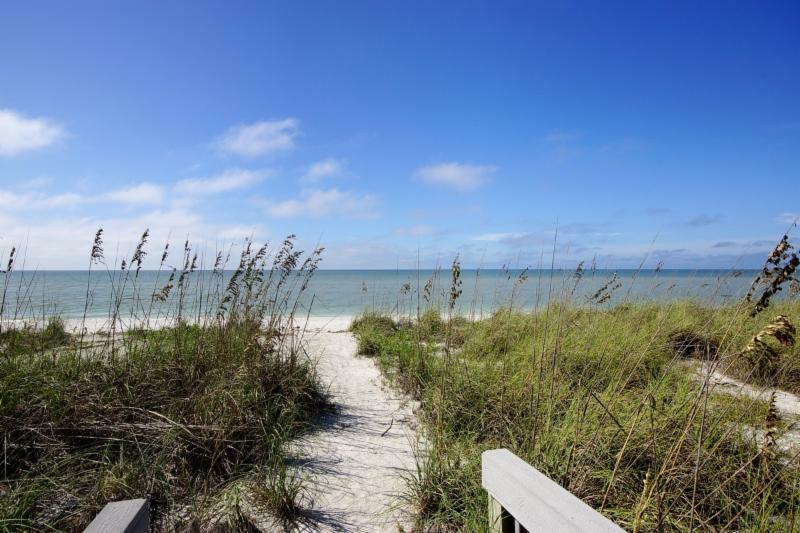 The white sandy beach offers world-famous shelling and is a perfect spot for relaxing. Enjoy other Sandalfoot amenities such as biking, a swim in the heated pool or a game of tennis or pickleball. Follow that up with a delicious dinner prepared on an outdoor grill, and you have the perfect day! Take advantage of 20% off for the weeks of April 6th, 13th and 20th! Call the office at 800-725-2250. 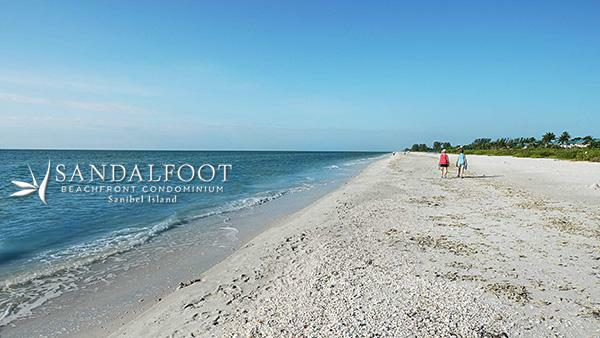 Say hello to Sandalfoot and Sanibel Island. We’ll see you soon! *New reservations only. Four night minimum stay. Rates do not include a one-time $50 administrative fee and 11.5% tax. Not all units participate in the special offer. Sandalfoot offers a discount to our guests who are able to enjoy the Florida sunshine for longer periods of time. There is a 5% discount for rentals of four weeks or more. Eight week stays receive an 8% discount and visits of 12 weeks or more receive 10%. Please contact the Sandalfoot office at (800) 725-2250 for more information. See you soon!